Portfolio: Classic Web Designs is committed to providing high quality, affordable websites. To see some of the websites created by CWD, click on either the screen shots or the company names on this page and the website will open in a new window. This company's website was originally created by the client using Frontpage, but they wanted a professional redesign. CWD organized the content into smaller, easily navigated pages, gave the site a fresh new look, and reordered the content on the first page to help improve search engine placement. This was a fun website project for a children's book author. 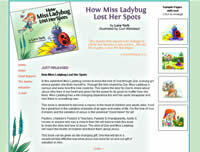 CWD designed the site to reflect the book's look and feel, including ladybug mouse-overs with the navigational links. 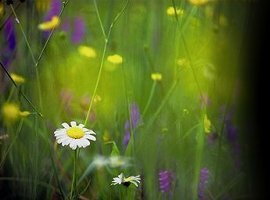 Website for a counselor specializing in helping women and children who speak Russian. CWD based the design of this website on the Russian Ghzell pattern to give the site a welcoming look. Excluding copy writing and editing, all other aspects of the site were designed by CWD. Site is currently maintained by client. This site was designed for a homeschool support group that needed a new logo and a complete website. Site can be easily updated because the pages that change often are mainly text pages that load into an iframe. Client provided body copy for the site. Website for a small business buying and selling homes in Georgia. CWD designed the site to blend with the client's existing logo. Client provided body copy. Unity in America was a site created by a group of web designers in the aftermath of the World Trade Center and Pentagon terrorist attacks on September 11, 2001. Classic Web Designs worked closely with Du Bose Design, Lumiere Imaging, and Sue Malomo in the creation of this site. Copyright©2001-2010 Classic Web Designs by Michelle and its licensors. All rights reserved.